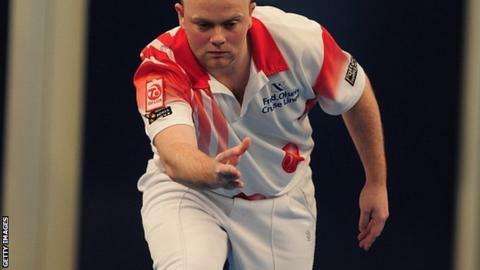 Stewart Anderson beat fellow Scot Paul Foster to win the World Indoor bowls titles in Norfolk. The opening set was shared 10-10 after third seed Foster came from 10-6 down with two ends to go to level it up. The second set was equally tense with Anderson 6-1 up after four ends and 9-5 up after eight only for Foster to level it at 9-9 and force a one-end shootout. And it was the ninth seed who held his nerve to emerge victorious 10-9 for his first world title. "I can't believe it. I'm very proud," said the 27-year-old afterwards. "Everyone knows coming into an event Paul is the one to beat and I knew I had to put him under pressure."